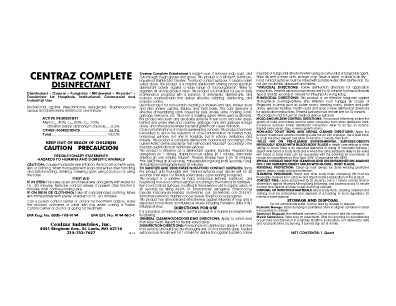 Disinfectants – Centraz Industries Inc.
Disinfectants not available in all States. Please call for availability. MP-64 is an EPA registered, concentrated, multi-purpose germicidal detergent effective in the presence of 5% organic serum. It disinfects, cleans, and deodorizes in one labor-saving step and comes in three scents; Pine, Lemon, and Mint. 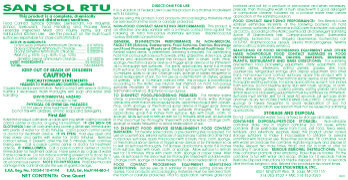 Quat K-2 is an EPA Registered, concentrated, multi-purpose, germicidal detergent and deodorant. 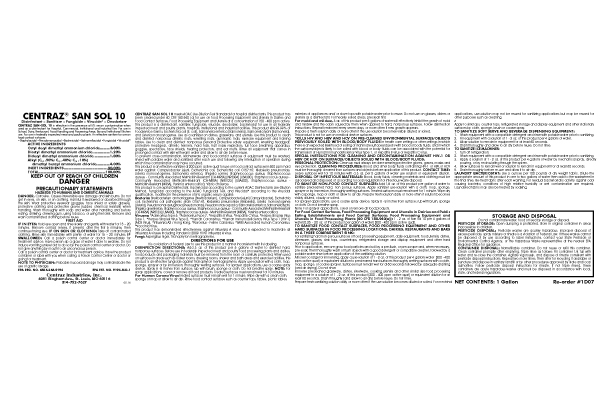 San Sol 10 is an effective disinfectant, sanitizer, deodorizer, virucide, and mildew stat (on hard, non-porous surfaces), San Sol 10 is registered with the EPA. It is designed to disinfect hard, non-porous, inanimate environmental surfaces. San Sol 10 deodorizes areas that are difficult to keep smelling fresh. 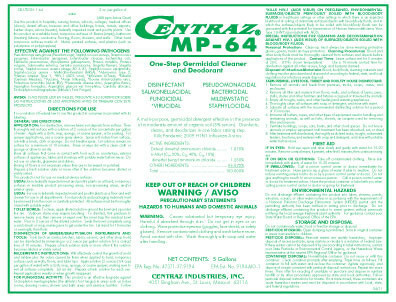 Centraz Complete is specifically designed to be a general non-acid cleaner and disinfectant. It is formulated to disinfect hard, non-porous, inanimate environmental surfaces. Kill statement is listed on label. Pyne 395 is an EPA registered disinfectant that is effective against a wide variety of gram-positive and gram-negative bacteria. It is also effective in controlling odors that are bacterial in origin. San Sol RTU is an EPA registered ready-to-use chemically balanced disinfectant & sanitizer. It inhibits bacterial growth on moist surfaces and deodorizes by killing microorganisms that cause offensive odors. Chlor is a sodium hypochlorite solution for sanitation in the dairy, food processing, food service, water treatment, and waste water industries. It is an EPA registered sanitizer.